1] Adobe Shockwave has been installed incorrectly. 2] The InstallShield folder is corrupt. 1] Go the the Adobe Shockwave website here. 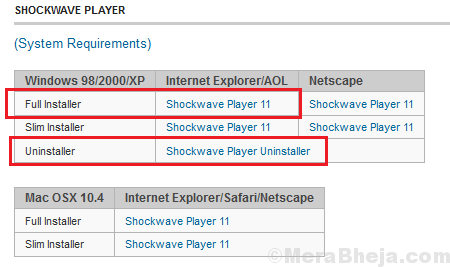 2] Use the Uninstaller to uninstall Adobe Shockwave and restart the system. 3] Return to the same website and install the latest version of Adobe Shockwave. Restart your system once done. Note: This method is applicable if you are using software like CorelDraw or any other software from Pinnacle studio. 1] Close the error window and navigate to C:\ Program Files\ Pinnacle. 2] Delete the Studio12 or Studio14 folder, depending on your installation preference. 3] After this, navigate to C:\ Program Files \ Common Files and delete the folder. 4] Now press Win + R to open the Run window and type the command msconfig. 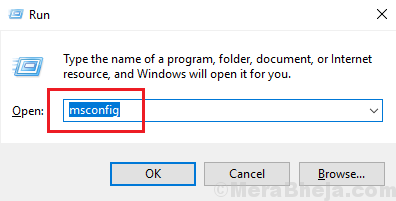 Press Enter to open the System Configuration window. 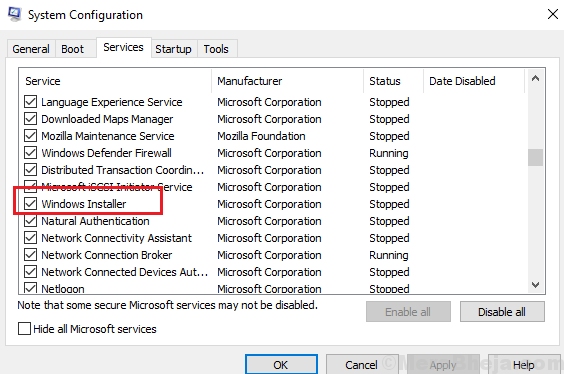 5] In the Services tab, search for the Windows Installer service and check the box corresponding to it (if unchecked). 6] Click on Apply and then on OK to save the settings and restart the system.